Ulika Food Blog: Mmmm. Chocolate. HACKETTSTOWN, N.J. – Americans could use some relief and are looking for reasons to smile. To help, Mars Snackfood US announced today the creation of the Mars Real Chocolate Relief Act™, a nationwide effort to bring sweet smiles to millions of Americans via free, full-sized samples of Mars real chocolate, product discounts and coupons along with the proclamation of Free Chocolate Fridays™. 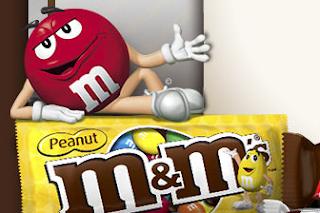 Now through September, Mars will give away as many as seven million full-size packages of its M&M’S®, SNICKERS®, MILKY WAY®, TWIX®, DOVE®, and 3 MUSKETEERS® brand chocolate in the United States. TGIFCF! Each Friday from now until the end of September, from 9:00am CST to 12:00pm CST, visit the Mars Chocolate Relief website to get your free chocolate. The first 250,000 people to sign up each day will be sent a coupon good for one free, full-sized Mars candy bar of their choice. One per email address and four per household per Friday. I will pick peanut butter or peanut M&Ms. hey ulika, did you try to do this on friday? I tried a dozen times but I guess the site was overwhelmed. I'll try again this Friday. Love me some m&ms!